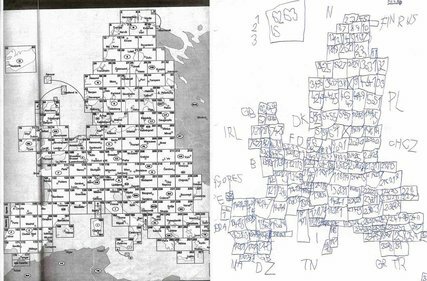 A sketch, right, of an index page in a book of maps, drawn from memory by the 7-year-old Lars Sonne, who has autism, showed a talent for visual reproduction. In the working world, Iversen said, his biggest problem was communication. “Most of the time it simply was that people didn’t understand me and I didn’t understand them,” he said. In response to Friday’s column about the Jaipur Limb, an inexpensive, locally-made artificial leg that has helped millions of impoverished people in poor countries to regain their dignity and livelihood, Laurie C. from Marina,Calif., (5), a reader who uses a wheelchair, made an important point: “It can be scary to know that you live in a body that is so dependent on inanimate equipment that if you don’t have that equipment, you basically fall off the radar of life itself,” she wrote. “You disappear from society, people avoid you, you become ‘a burden’ … all for the lack of a piece of equipment.” This is a very persuasive argument for why a low-cost wide-scale product like the Jaipur Limb is necessary. 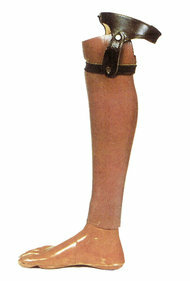 They come in on crutches, on homemade wheeled dollies, crude peg legs, even carried on the backs of mothers or brothers. Even with all their limbs they would have been impoverished, and losing a leg robbed them of the ability to carry out the subsistence labor the poor do all day to stay alive. They are reduced to begging or burdening their families. A few hours or days later they leave on two legs, walking back to self-sufficiency. They can now carry water, farm two acres, drive a bicycle taxi. They can run and climb mountains and trees. 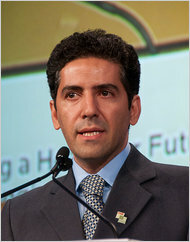 Kamiar Alaei accepting the Jonathan Mann Award for Health and Human Rights. 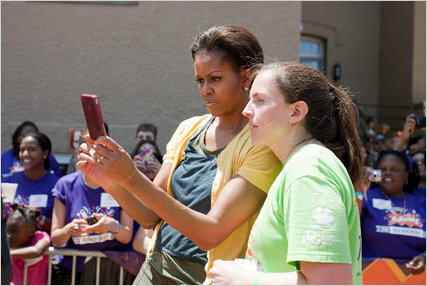 Michelle Obama, working with KaBOOM! Senior Project Manager Kathryn Lusk, added a photo of the 2000th KaBOOM! playground to the group’s mobile app. 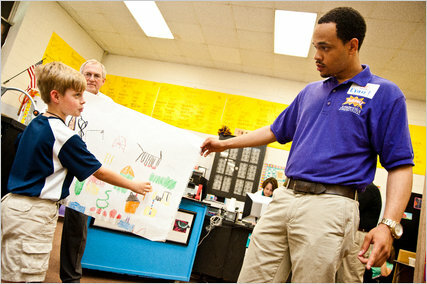 During KaBOOM!’s “design days,” children are encouraged to draw their ideas for a playground. On Wednesday more than 500 volunteers will gather at the Imagine Southeast Public Charter School, in Congress Heights, one of Washington’s poorest neighborhoods, to help construct the 2,000th playground led by KaBOOM!, an organization that has turned community playground building into the modern-day equivalent of barn raising. Among those assembling slides and swing sets alongside residents and Americorps volunteers will be Michelle Obama and Secretary of Education Arne Duncan who will be highlighting the importance of play and the administration’s Let’s Move initiative, which aims to attack the problem of childhood obesity. On Tuesday, I wrote about the Clapham Set, a Boston program that works with recently released prisoners. It asks judges to waive their court fees if the prisoners complete an academic course and work with a coach who helps them get jobs and services they need to turn their lives around. When a young man gets out of prison, society has an interest in keeping him out. Helping him to live a law-abiding life benefits everyone: the ex-con and his family and friends, the people who might otherwise have become his victims, and taxpayers, as a year in prison usually costs upwards of $30,000. If you were a student looking for financing to pursue a degree in social science, would you accept an offer of $16,000, in exchange for paying 4.5 percent of your income for 10 years after you graduate? In Tuesday’s column, I wrote about a social enterprise called Lumni, which helps predominately low-income students in Colombia, Mexico, Chile and the United States finance their college educations through “human capital contracts.” In exchange for the financing they receive, the students commit to repayment schemes along the lines of the one outlined above (the terms vary). After the time period elapses — it’s always 10 years or less — the obligation expires, no matter how much has been repaid. Some readers thought this could be an attractive alternative to student loans, but many others had strong negative reactions. I’d like to address their concerns.